Chia seeds can be very healthy for our organism: they give us energy and help us to lose weight. But let’s discover how to consume them and how many to make the most of its properties. Chia seeds are rich in Omega-3 fatty acids that help in case of hypertension, as they control the blood pressure, and they also prevent diseases of the cardiovascular system and protect sight and brain. 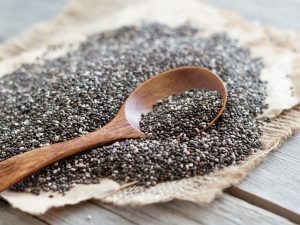 Chia seeds contain many fibers that help the correct function of the intestine, therefore useful in case of constipation: in fact, in contact with water these seeds create a natural gel that provides an emollient action on the walls of the intestine. Chia seeds also promote a sense of satiety, thus helping to lose weight. They also give you a lot of energy, so much so as to be called "super-food", and they also help stabilize the sugars in the blood, preventing diabetes and promoting digestion. Chia seeds are also an excellent source of calcium, thus helping to prevent osteoporosis and keep the bones healthy. The recommended daily dose of chia seeds is 10 grams per day, equal to one teaspoon, but if we want to increase its beneficial effect on our organism this dose can be increased up to 25 grams a day (about two tablespoons). It is important, however, not to exceed these doses if we want to avoid a powerful laxative effect. But, how to consume chia seeds? The advice is to consume them raw, without cooking them, to benefit from all their healthy characteristics. You can usually consume them in this way: add them in vegetable milk or home-made fruit juices, mixing them well until the liquid thickens. You can prepare this even the night before, and then preserve it in the refrigerator: in the morning you'll find yourself eating a sort of pudding that you can eat with a spoon, for a really energetic and nutritious breakfast. Then, this mixture can be added to smoothies or soups. You can also add chia seeds to fruit salads: an excellent idea for breakfast or a healthy snack. We can also consume these seeds as snacks during the day; they are in fact an excellent food to calm down hunger. Chia seeds can also be cooked by adding them, for example, in the preparation of bread, biscuits, cakes; they will give more flavor to your preparations as well as giving more consistency to the dough, thanks to the presence of fatty acids that deteriorate with heat. Chia seeds must be kept in glass jars with an airtight seal, protected from light and in a dry place. 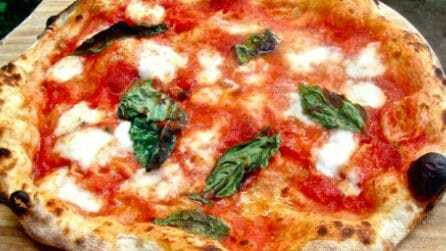 During the warmer months it is advisable to keep them in the refrigerator. But when do they expire? 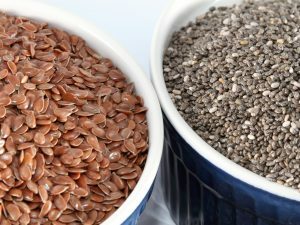 Chia seeds can be stored for years as they do not turn rancid over time: however, it is important to store them in tightly closed containers in an appropriate manner.